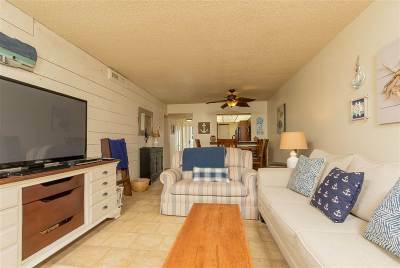 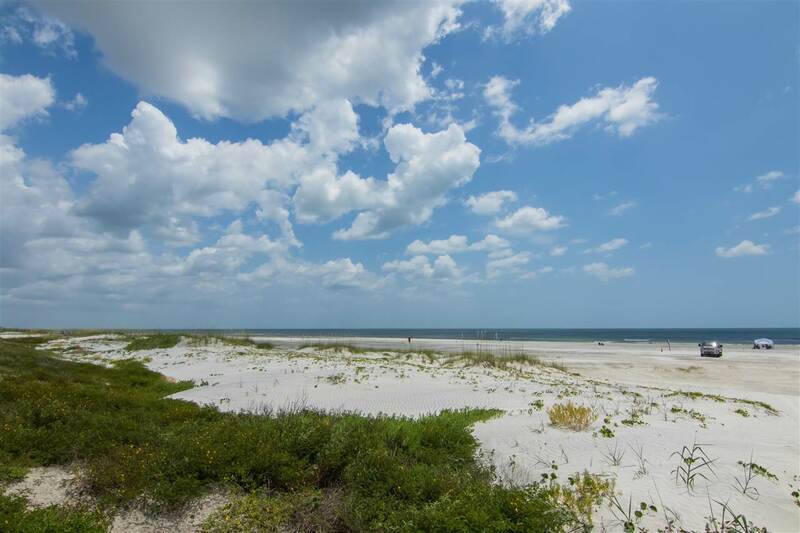 Updated, immaculate & turnkey ready as your new beach home or beach rental! 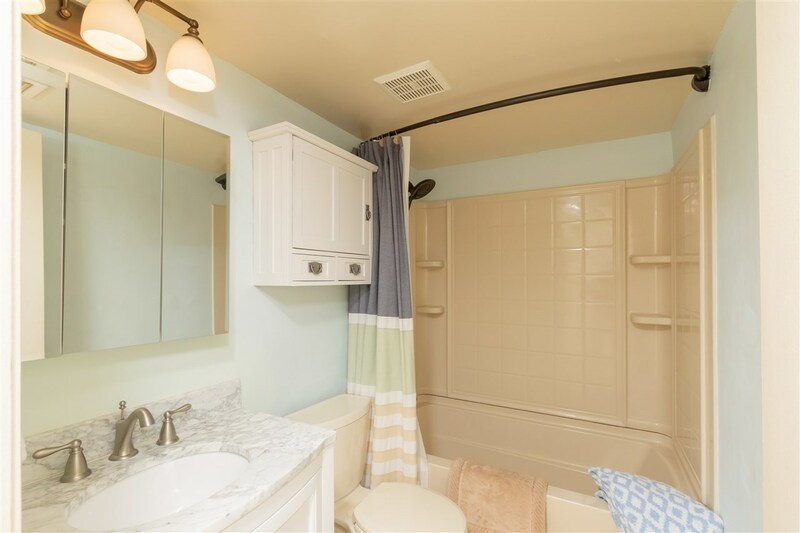 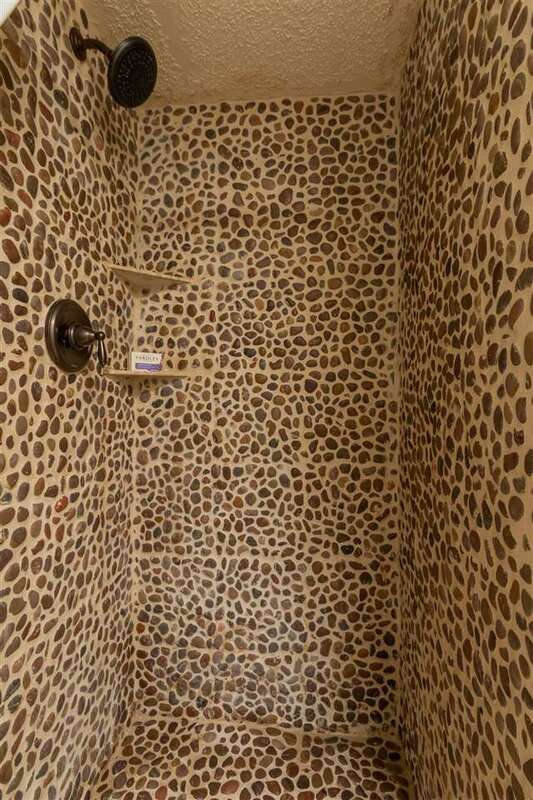 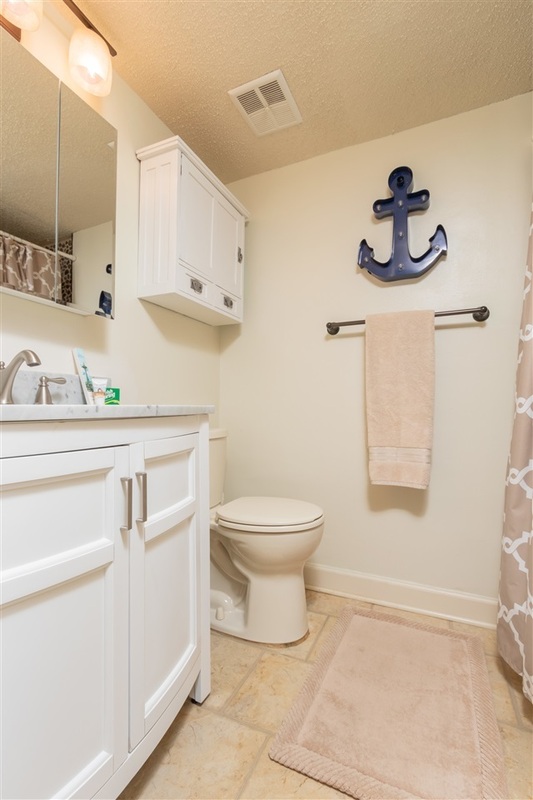 Granite counter tops, ship-lap featured wall & updated kitchen & baths, including a master bath stone shower that will delight you. 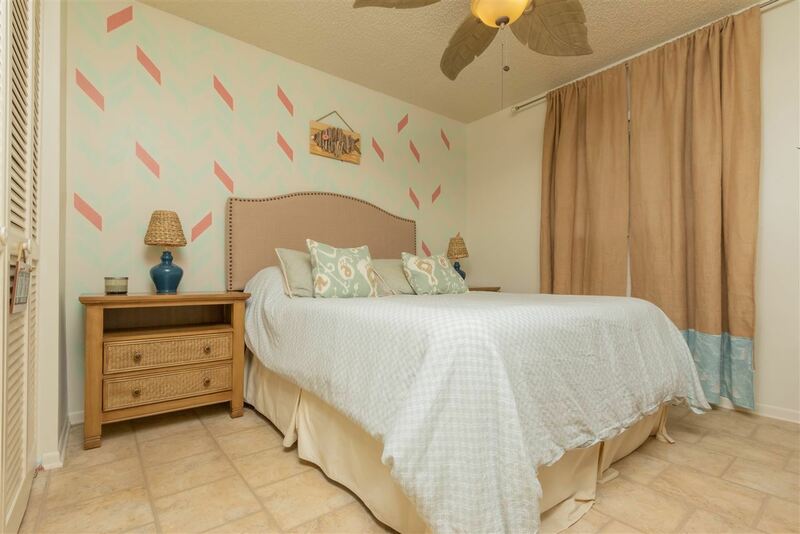 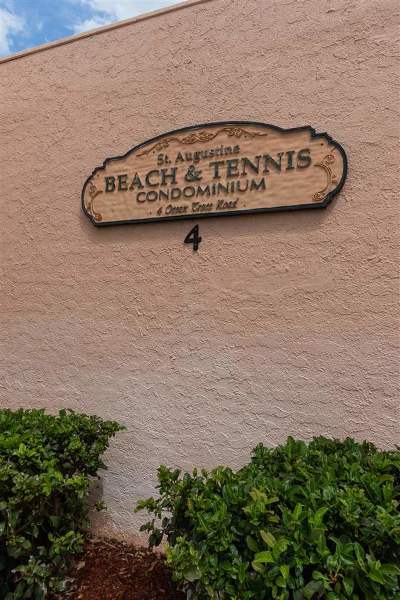 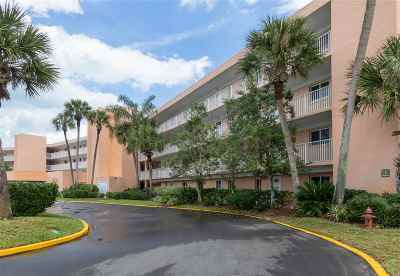 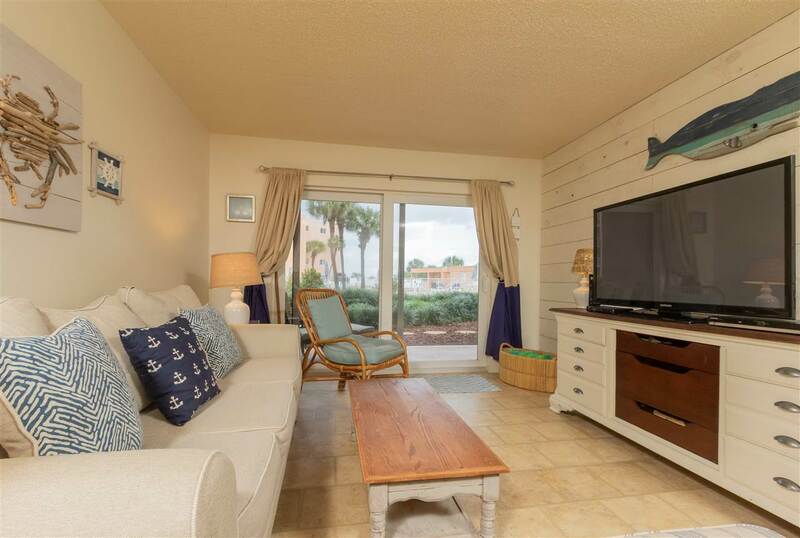 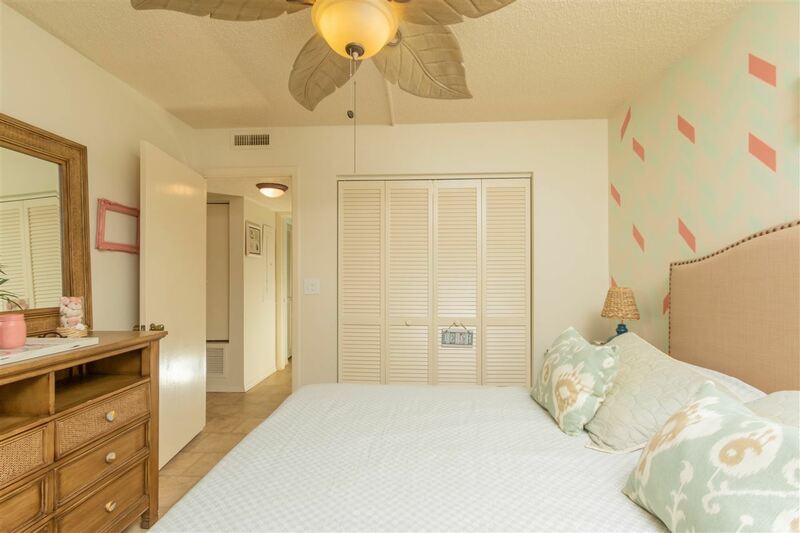 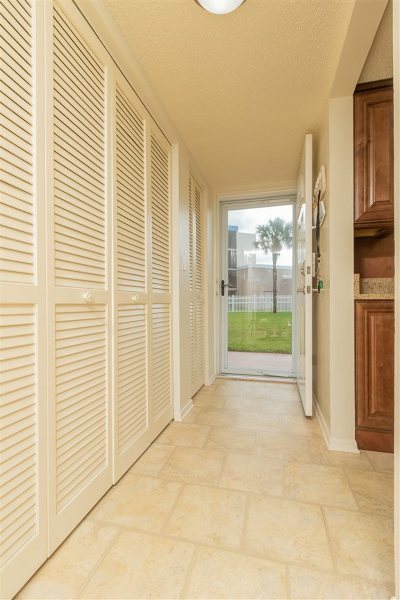 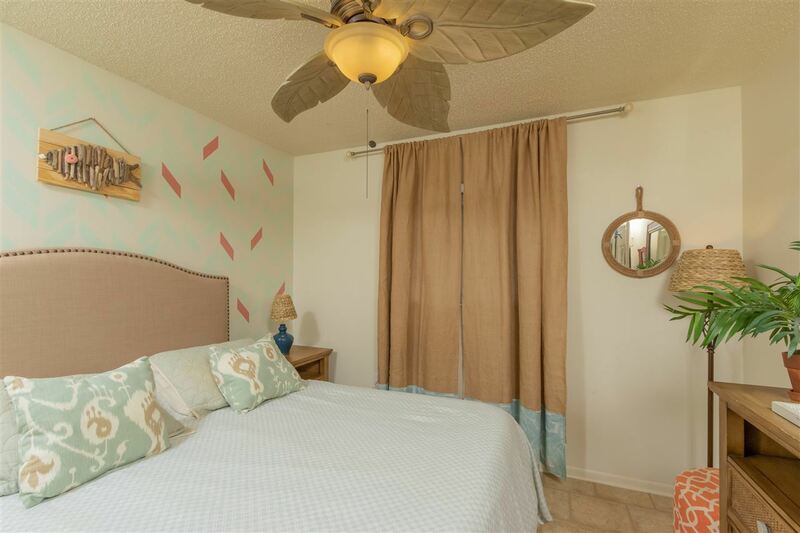 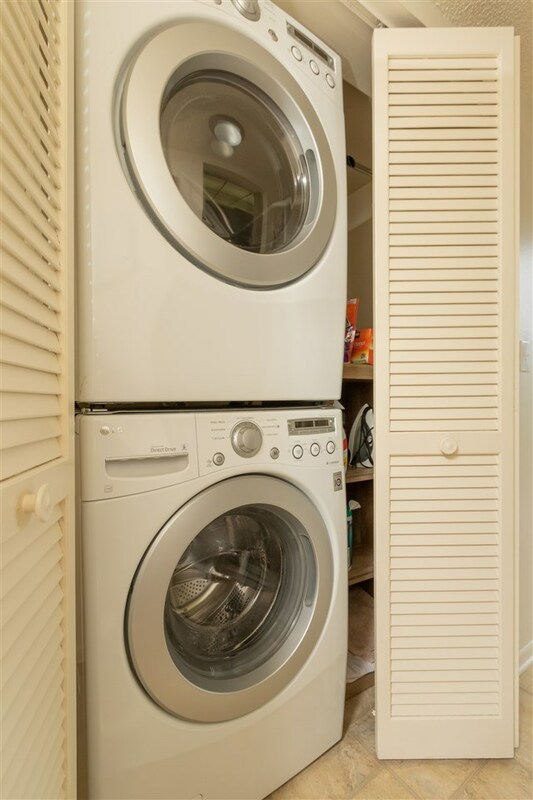 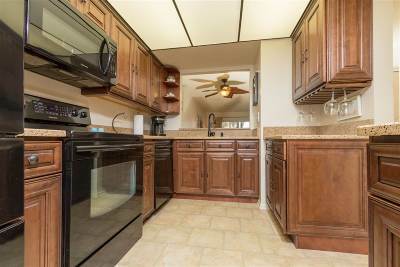 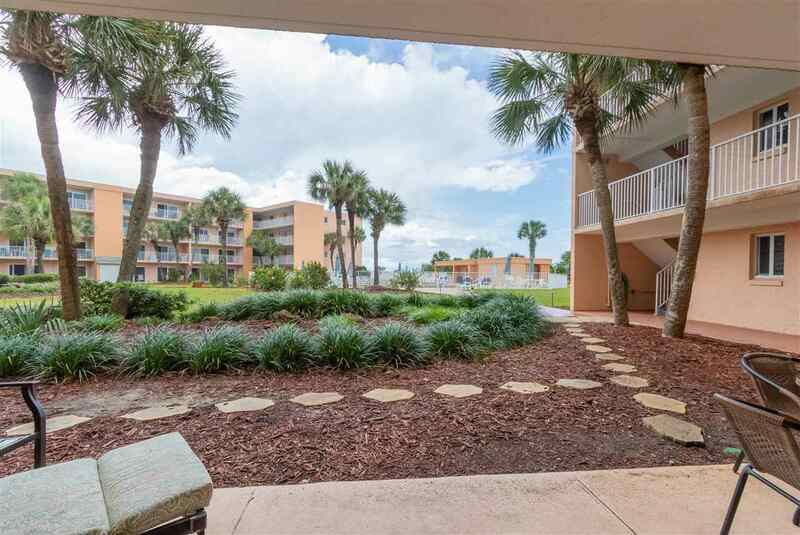 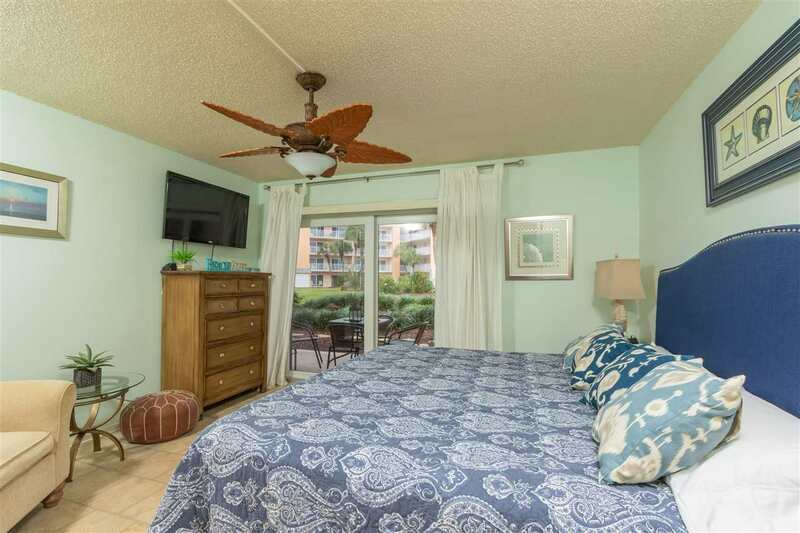 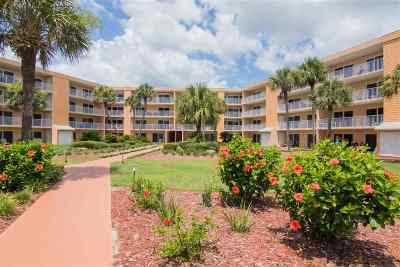 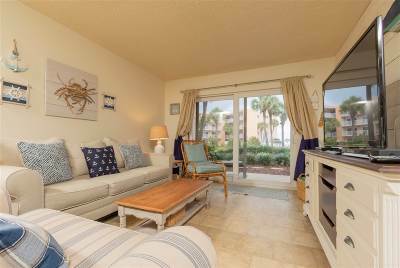 This unit is fully furnished & is close to the beach, with a lovely, large patio for enjoying the breezes. 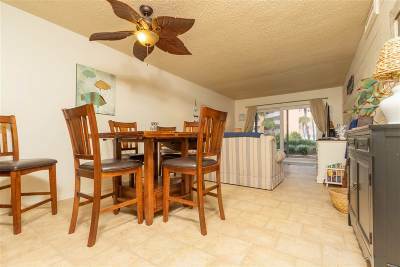 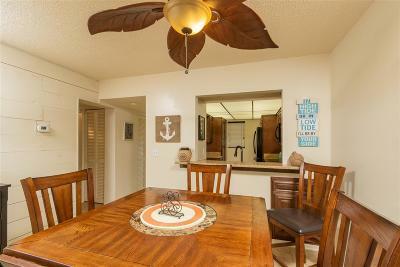 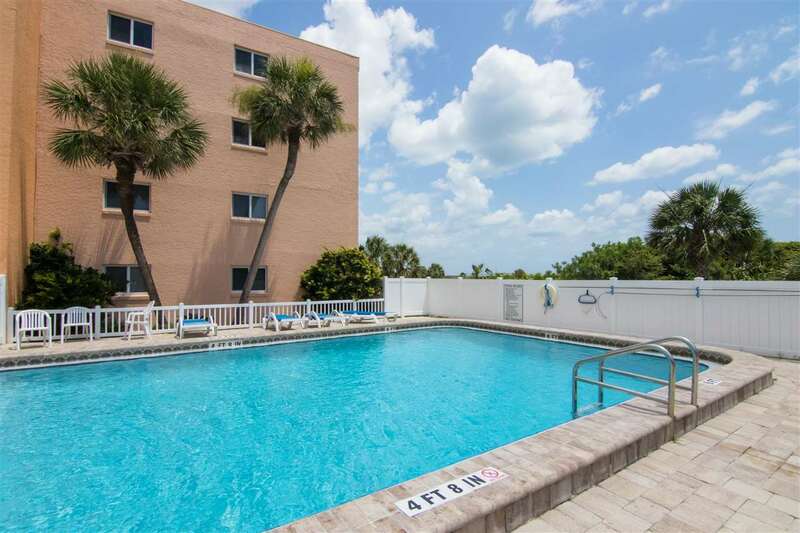 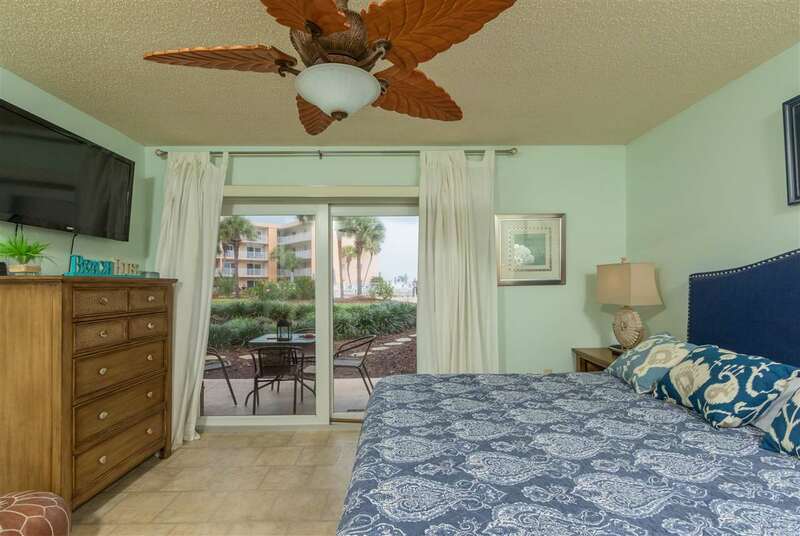 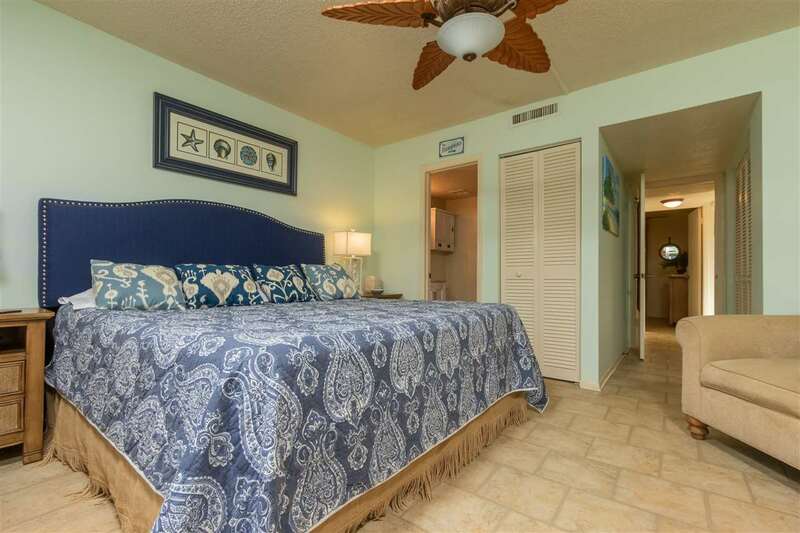 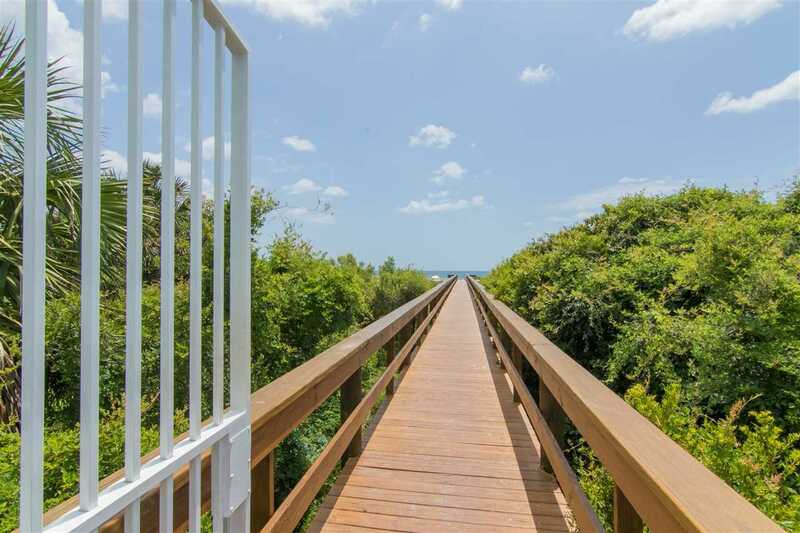 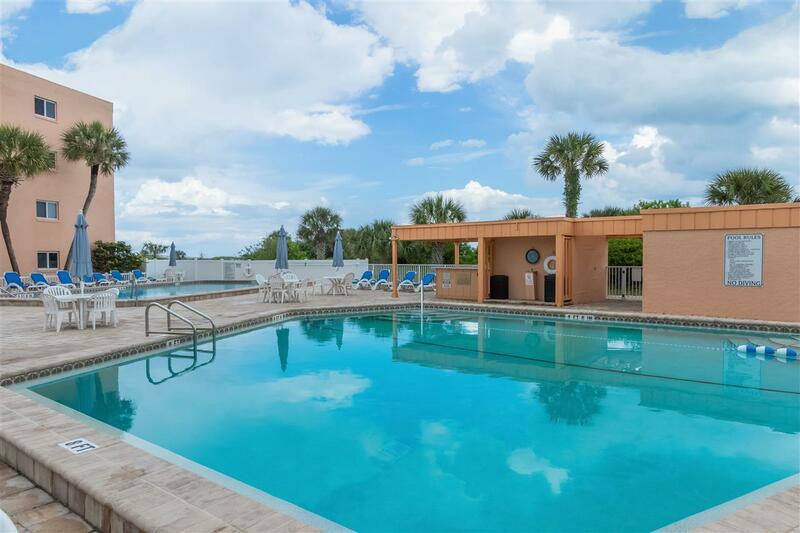 There is easy beach & pool access, & restaurants, shopping and the historic area are nearby.